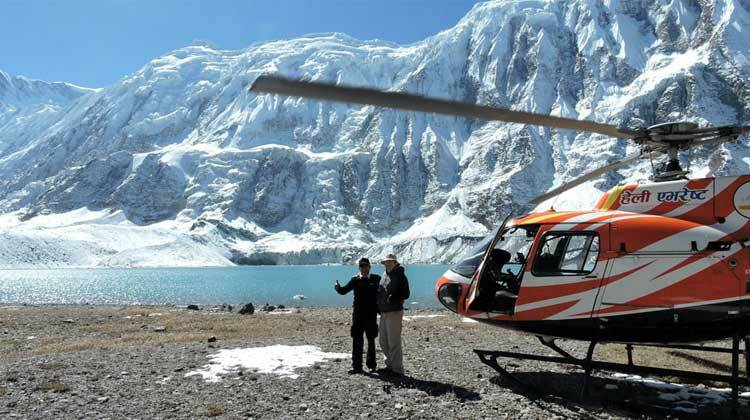 Tilicho lake helicopter tour will take you to the highest altitude lake in the world. Tilicho Lake lies in the Manang district of Nepal. Situated at an altitude of 4920 meters, this lake lies in the Annapurna Region. Tilicho is a famous trekking destination in the Annapurna region. 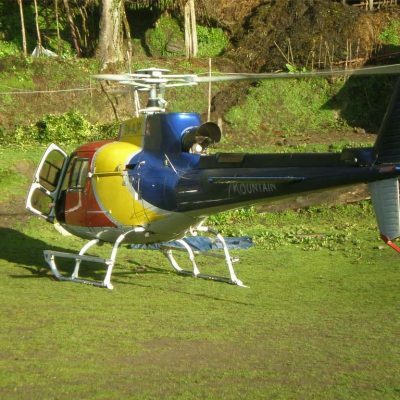 However, for those who do not want to trek for a large number of days in the remote trekking trails, we have a helicopter tour to Tilicho lake. This tour is also an ideal tour for those who seek a luxurious way to reach the Tilicho lake. This tour is equally suitable for those who cannot go to the Tilicho lake by trekking because of physical disabilities. The Tilicho Lake Helicopter tour offers the best aerial views of amazing landscapes, gigantic sugar-coated Himalayas, small Manang village, and many others. Flying over the Annapurna range is a great feeling. Flying over the Annapurna Circuit trekking trail is a wonderful experience. You will also see the amazing Thorang La pass. 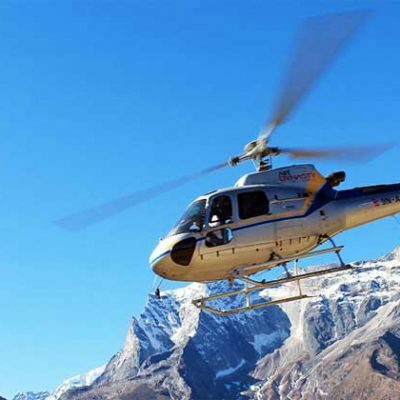 Annapurna Tilicho lake Helicopter Tour begins from Kathmandu. The helicopter takes off from the domestic terminal of Tribhuvan International Airport. It flies towards the Annapurna Circuit and lands at Tilicho Lake. Tilicho lake is also called as the “Kagbhusundi Saravor”. This lake isn’t popular only for its beauty, it carries religious importance as well. It is a holy lake and is one of the Hindu pilgrimages. After exploring around the Tilicho lake, the helicopter flies back to Kathmandu. Tilicho Lake Helicopter landing tour is a beautiful experience. If you do not want to miss this experience, book our Helicopter tour to Manang-Tilicho. Adventure Great Himalayas organizes the safe and best helicopter tours in Nepal. For further details or queries, you can contact us.